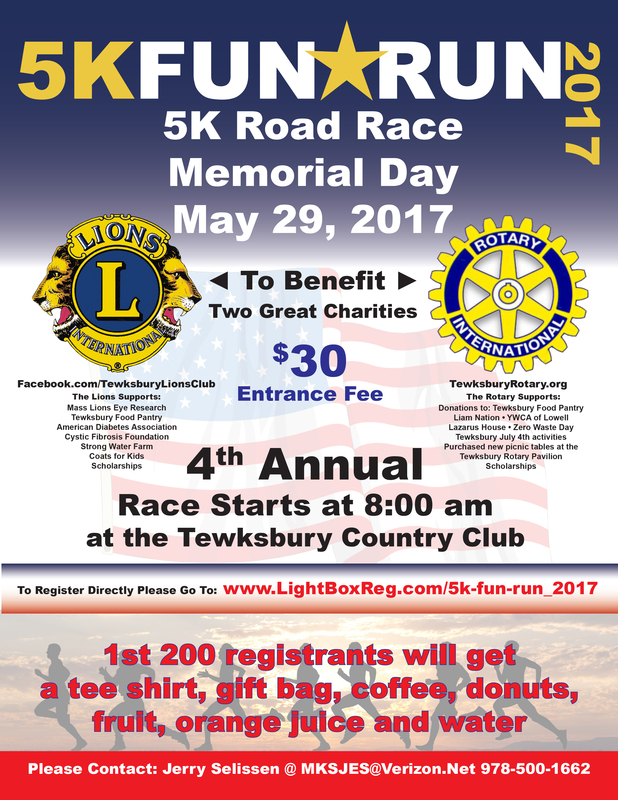 Memorial Day 5K at Tewksbury Country Club. This fundraiser will benefit both the Lions Club and The Rotary. Both are great organizations that support a number of different charities. Our Lions Club is the number one cash provider for the Tewksbury Community Pantry.